If you’ve hired one of us from When Hounds Fly to discuss behaviour problems (fear, anxiety, reactivity, aggression), you’ll remember that before we even talk about the behaviour problems, we spend time talking about the overall lifestyle of the dog. When the foundation and pillars falter, behaviour falters. My own Beagle, Duke, we discovered, was suffering from some sort of skin problem. We noticed this due to flaking and itchiness. At the same time, his reactivity towards dogs increased. Once diagnosed and addressed, the skin flaking and itchiness subsided, and his reactivity to dogs decreased again to very low levels. [quote align=”center” color=”#999999″]Beau is doing much better, thanks for asking. We increased his new food to 15% a few days ago, so we are going to keep him on that amount for a few more days. His poops are still pretty good – he is pooping more often and each poop is pretty small, so we are making sure to take him out more often. As you suggested we took him to the vet when he started acting grumpy to other dogs. The vet thought he might be having lower back pain. Finn was on painkillers for a few days and that seemed to do the trick. So all’s well that ends well. Is all undesired behaviour related to the foundations and pillars as Sabine calls them? No, of course not. However, before embarking on a journey of training and behaviour modification, it is irresponsible not to exhaust every avenue and leave no stone unturned on the foundations of diet, exercise, physical health, and environmental enrichment. With health related issues, first consult your veterinarian. Tell them if your dog is having behaviour problems. They should be helpful and not hinder your attempts just to ensure your dog is in perfect health. Some veterinarians have out of date information regarding behaviour and will be resistant. If they are, that is a red flag, since any good behaviour modification program starts with an evaluation of health. Diet can make a huge difference, so consider hiring someone like Sabine or Christine to help you formulate a home prepared diet. This is especially true if you have a dog with allergies or gastrointestinal issues. Finally, hire a dog trainer/behaviour consultant who understands how to use humane, force-free methods to help with fear, anxiety, and aggression to get help with the training component of helping your dog out. 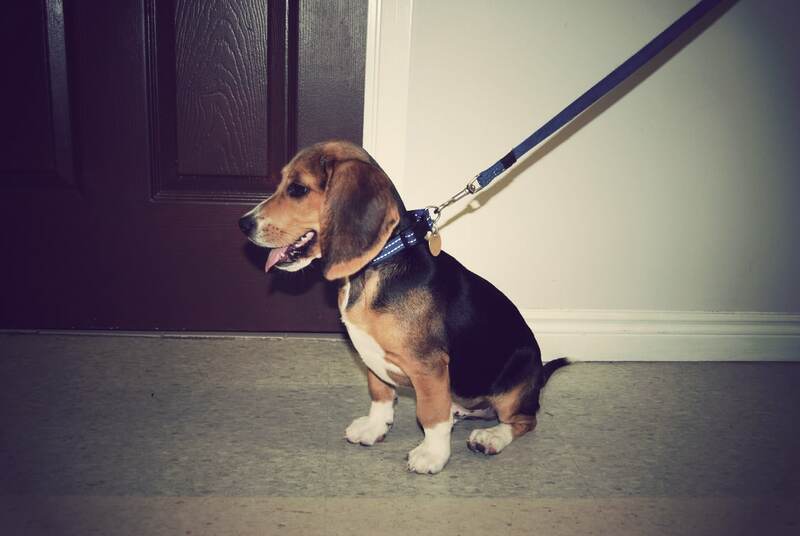 Finnegan the Beagle two years ago in puppy class. Suddenly growling and crusty just because his back hurt. Now he’s back to being the dog loving Beagle he always was. Separation anxiety is a condition in dogs where emotionally and physiologically, the dog becomes panic stricken when he’s apart from his owner or people in general. Typically it manifests itself when a dog is left home alone. There are many reasons why a dog may develop separation anxiety. It has been observed that puppies that are transported by air cargo during puppyhood (specifically, around 8-11 weeks) have a higher likelihood of developing separation anxiety. It also develops when a dog never has the opportunity to practice being alone, especially when growing up as a puppy (for example, an owner who takes time off from work and is with the puppy 24/7 for weeks at a time). Major lifestyle changes such as a work-from-home person suddenly having to go to an office 9-5, or moving to a new home can also cause separation anxiety to appear later in life. Regardless of the reason, it is a major reason why dogs end up in shelter (Dogs can bark and howl loudly – if they have separation anxiety, the owners get eviction notices). A dog that chews your shoes when you’re gone may just be bored and wanted to chew your shoe. Similarly, a dog that soils in the house when left alone may just not be housebroken – or you left them at home for longer than their bladder could handle. Look for sweaty paw prints, drool puddles, glazed eyes, etc. as signs that it is separation anxiety and not a general training issue. Recording your dog with a camera when you’re gone is a good way to tell. Confine the dog to a small room, leaving only chew toys and dog items in the room (kongs stuffed with food, hard, safe chew toys, etc.) This way he can’t eat your shoes or destuff a pillow. He may ignore the kongs when you’re gone (too panicked to touch them) but that will change over time. Crate train your dog and create him when left alone – leave toys/chews inside. Again, this is about minimizing damage to the house and the dog when you’re gone. Leave the dog with a friend when you’re gone. Leave the dog at dog daycare if you need to be away for long durations. Have a dogwalker come mid-day to give him a break – have the dogwalker return the dog to the crate or room and resupply with new kongs. Consider prescription anxiety drugs from your vet as a short term solution (to lower the anxiety to a level that treatment strategies become effective) – discuss this with your vet. In the case of severe separation anxiety, this may be the only way to start making inroads in addressing the problem. Exercise the dog before departure (30-40 minutes, offleash, running – playing fetch, etc.) and then give them some time to rest and recover. Leave home from different doors, wear different coats and shoes, don’t always get your wallet and keys in the same order – mix it up – sometimes put your coat on and go sit in the living room. You’re trying to randomize the predictors of departure so that anxiety doesn’t build up as you get ready to leave. Leave stuffed kongs and other food toys in the crate or room your dog is left in. What is a Planned Departure? A planned departure is leaving your home for a set amount of time strictly for the purposes of desensitizing your dog to being left alone. If you pack up and leave, you may find your dog is silent for 1 minute at first, then the barking or urination starts at 1:01. If that’s his threshold, you leave for 55 seconds, and then return. Repeat at 56 seconds, then 57, and slowly move your way up. Doing as many as you can sporadically through the day is the best way to do this. Over days and weeks you’ll move from increments of seconds to minutes – over time your dog will be able to tolerate being alone and loose for longer and longer periods. Once you get up to about the 10 minute mark, it’s easy to integrate this practice to your daily life – 10 minutes is enough time to go to the corner store to pick up milk, or walk to the video store to return a movie, go to the bank ATM, etc. The more reasons to leave and come back the better. After weeks and months of work, you’ll break the 60 minute mark – at that point you’ll be able to leave your dog alone to go to the gym, eat at a neighbourhood restaurant, etc. By that time your dog should be OK to be alone for 3+ hours at a time. Just make sure the dog is well exercised, has been opportunities to relieve himself, and you’ve left lots of chew toys and stuffed kongs (and hidden your prized pair of shoes or other at risk objects) to set your dog up for success. Use webcams and audio recording software to help you collect useful data about whether your dog’s anxiety is getting better over time. It is important as you work up on your departure durations to avoid leaving the dog home alone for longer than they can handle. This may mean heavy reliance on dog daycares, friends, family, and a severe impact on your social life in the short-term. Here’s a video of a beagle that suffers from Separation Anxiety. Notice that the dog ignores food that is left behind – he is too stressed to eat – a sign that he suffers from moderate to severe separation anxiety (mildly anxious dogs will still eat when left alone). How do you safely take a toy or bone away from a dog? Does your dog exhibit aggressive behavior when he has a bone or toy? This issue is called Resource Guarding and if not addressed, can escalate into dangerous behaviors like biting. From an evolutionary standpoint, dogs developed this behavior for obvious reasons. If a dog didn’t protect high value objects like meaty bones from theft, it would starve, pure and simple! In practical terms, that toy, bone, or high valued object is rewarding to the dog, and having it taken away is an undesired outcome. Forcing the dog physically to give up the toy will cause this problem to escalate, up to and including severe biting. So how can we address it safely? As a positive reinforcement dog trainer, you must make the behavior of giving up the toy or bone a rewarding behavior. This is commonly done by trading objects with the dog with food – after all, the dog can’t guard a toy while simultaneously taking food from your hand. Furthermore, if every time a toy or bone is given up and it’s put away, there’s no incentive for the dog to ever give up the toy, so its important to trade for food, and then return the toy to the dog. This creates a win-win situation where there’s no downside at all to giving up the highly valued object. If you trade for food, and return the toy enough times, you’ll find your dog actually looks forward to releasing the toy as you approach. Its at this time we can put the behavior on cue with “Out” or “Drop It”. If your dog has developed a serious case of resource guarding, where he starts growling and even biting as you approach, it is absolutely critical that you get professional help with this work as the risk of eliciting a dog bite is very high. Whatever you do, don’t force the dog to release the object. This only teaches the dog that he was right to guard the item in the first place, and will increase the severity of the guarding and increase the severity of his aggression response. He’ll progress from guarding looks and body language to growling, and ultimately may resort to biting to protect the object. Start early with your puppy to practice trading. If your adult dog is growling or biting, get help right away with a trainer or behaviourist that uses positive reinforcement to teach the dog that giving up toys is a fun and rewarding game. Why has my dog started getting into fights at the dog park? Why has my dog, who used to love other dogs, started to get into fights at the dog park? Is he dominant? Dominant? Usually not. Few dogs are born wanting to get into fights. Fighting behaviour is evolutionary suicide. So why has my dog started barking, lunging, and biting other dogs at the park? He’s not feeling well. Dogs are very stoic and hide discomfort very well. Make sure he’s been recently vetted and isn’t suffering from pain ordominant aggressive dog illness. If he is ill, dealing with the medical condition can often make the behavioral issue go away. He’s been punished by or around dogs – One of the dangers of using punishment training (leash corrections) is that the punishment is often paired near or around other dogs (leash corrections for looking at dogs, “training” classes where leash corrections are done around other dogs in class). This can also happen at dog daycares/dog walking services that use punishment (spray bottles, physical corrections, bark collars, etc.). Pulling while on leash can also cause this (the dog sees a dog on the street, gets excited, pulls towards it, and experiences neck pain and frustration – in a dog’s mind, the other dog is causing the pain). He’s been harassed by other dogs at the park – Look closely at the picture of the Beagle. Does he look happy? He’s doing everything he can to get away from the pushy Ridgeback. If the Ridgeback doesn’t stop, the owner of the Ridgeback doesn’t recall his dog, or the Beagle owner doesn’t leave, how long would it take before the Beagle decides to bark and lunge to send the Ridgeback away? 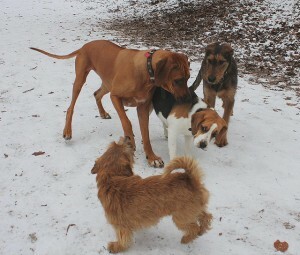 How long would it take before the Beagle decides he hates the dog park, hates Ridgebacks, and hates all dogs? If the Beagle fights back, the Beagle owner collects his dog and leaves – reinforcing the very behavior of fighting back. Socializing your dog at the park is a good idea, but it requires careful monitoring of his body language and selection of play partners. Our puppy socialization class teaches owners how to watch for these warning signs and ensures your puppy associates nothing but good things with other dogs. Overly rough play and bullying can just teach your dog to dislike other dogs. Young puppies also tend to be picked on and bullied by other dogs, which can teach them to be fearful of dogs – exactly the opposite of what you’re trying to accomplish. If your dog has already started exhibiting aggressive behaviours towards dogs, don’t delay and ask us for help. 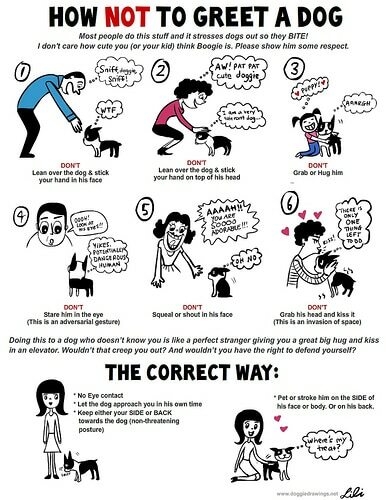 The longer you allow your dog to practice these behaviours the stronger they become, and the harder it is to undo. Why does my dog bark and lunge at other dogs on leash? First, rest assured, you are not alone. This behavioral issue is so common that there are volumes of books specifically written about the subject. Dog trainers and behaviorists refer to this issue as “on-leash aggression” or “on-leash reactivity”. That being said, this is a serious issue that needs addressing as soon as possible – the longer you wait, and the more it happens, the harder it is to address. A reactive dog can bite other dogs and even bite dog owners nearby. A dog with on-leash reactivity often gets along marvelously with other dogs when off-leash at the park, or in the yard, or even in home. But the minute you put on a leash and go for a walk, he becomes interested, then agitated at the sight of a dog at a distance. 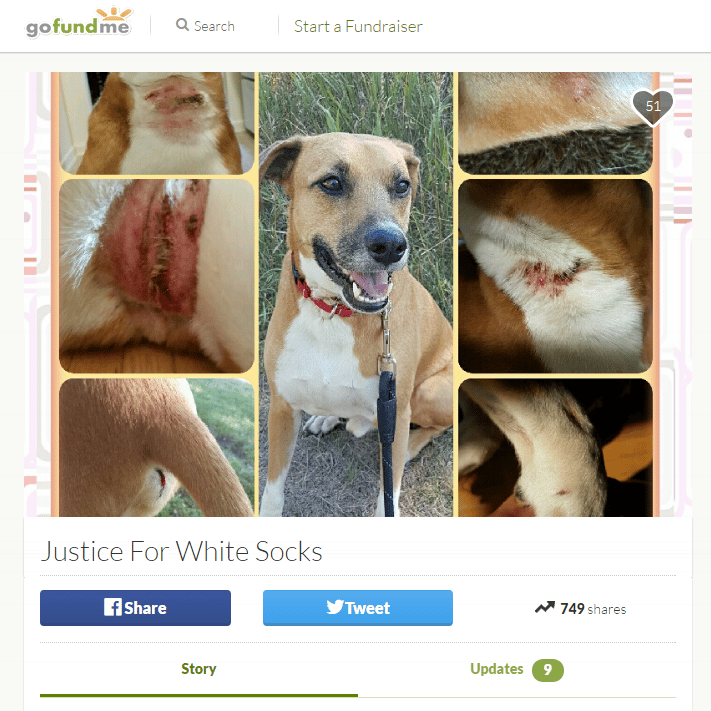 As you get closer, he expresses the frustration by barking, howling, lunging, and even biting. He’s so fired up that calling his name, luring him with food, or even applying leash corrections does nothing. The dog never learned to walk loosely on leash, or focus on the handler when called. As a result, the dog is used to pulling around everywhere to investigate everything. The sight of a dog on the sidewalk is a novel distraction at first, so a puller struggles to go meet and sniff that other dog. Naturally, on-leash, and on the sidewalk, your dog doesn’t have the freedom to wander up and sniff every dog. The frustration of being unable to get to that interesting thing, compounded by the physical pain of the collar tension that occurs when pulling towards another dog is highly unpleasant. 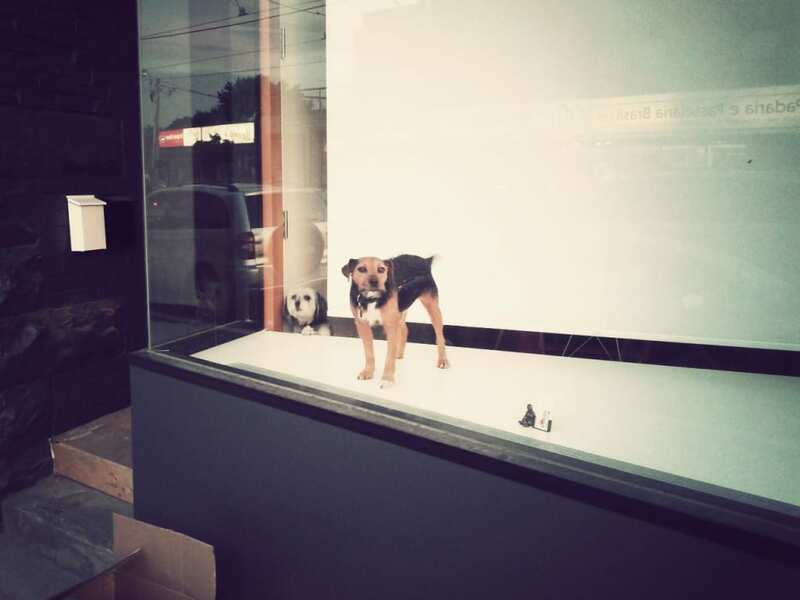 Soon, the dog associates the sight of another dog with feelings of frustration and pain, and very soon, through simple classical conditioning, the dog sees other dogs on the street as the reason for that feeling and pain. As it happens each and every time they see a dog on leash, the conditioning occurs very quickly. The dog had learned to be fearful or dislike other dogs. This can occur if a dog has been harassed or attacked by another dog – sometimes it just takes one bad experience to make a dog fearful. This can also occur if a dog was not exposed to a wide variety of other friendly dogs while it was a puppy. 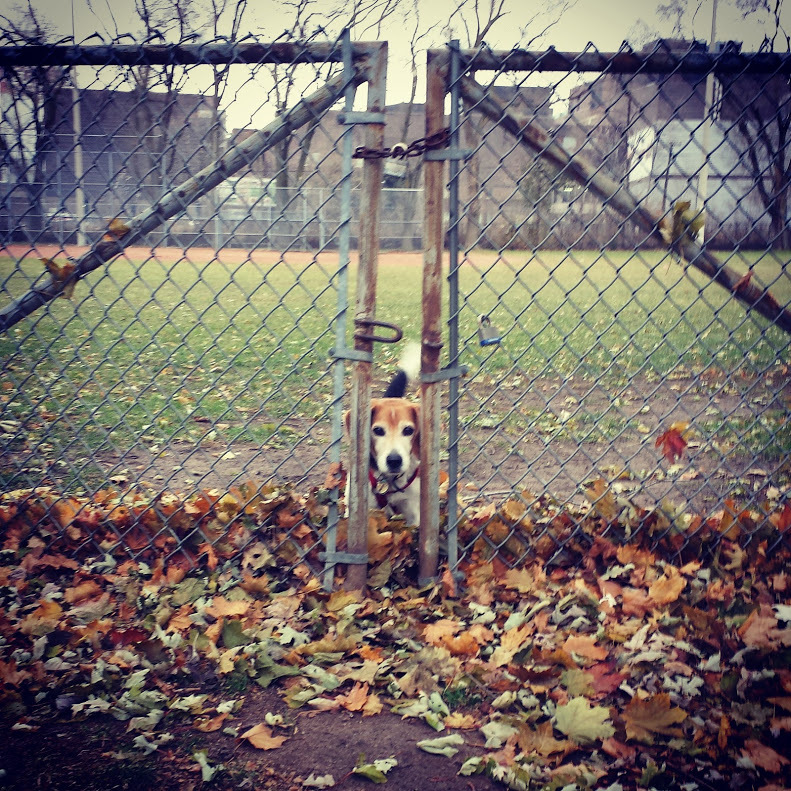 In an off-leash setting, the dog has the option to flee. When a dog is on leash, we’ve taken away that option, so all that’s left is freeze, or fight. The on-leash reactive dog is barking and lunging to send the other dog away proactively. The dog may be ill or injured. Dogs hide injury well, and perfectly well socialized dogs that suddenly start acting aggressively (in any context) may be hurt and vulnerable, and instinctively become more defensive. Make sure your dog is fully vetted to check for illness or injury. The dog is “dominant” and wants to fight every other dog. Dogs have been selectively bred over many generations to avoid conflict – a species that is genetically predisposed to fighting tends to make itself extinct. Also, if the dog was a natural born fighter, he wouldn’t be an angel at the off leash dog park. The dog doesn’t respect you as the “leader” or “alpha” or whatever and therefore is protecting you. There is a behavioral issue called “resource guarding” where dogs guard their owners, but it is far more rare and typically occurs on or off-leash. On-leash reactive dogs can be extremely well trained in obedience, and do everything their handler asks, and still lunge and bark. You are not calm and assertive. You could be totally oblivious to the fact there’s a dog approaching (and therefore relaxed) and the leash-reactive dog would still bark and lunge if they see the other dog first. What training techniques should we avoid? The dog already fears and dislikes other dogs. Causing additional pain and discomfort whenever he sees another dog only compounds the feelings of frustration, fear, and hatred. The correction may suppress the behaviour but the emotional attitude the dog has continues to slide into deeper frustration and hatred of dogs on leash. The dog has also not learned any desirable behaviour in its place (such as look at the handler). Many dogs fear spray bottles or citronella collars, so these “softer” aversives should not be used for the same reason. Conversely, many dogs do not care about getting water in the face, rendering them useless. In both cases, the dog has learned nothing. You may suppress the behaviour (probably not) but you have also put yourself at severe risk of being bitten. A dog learns that humans are dangerous, and hands are dangerous – you are creating a fear-biting dog. Manage the environment – do not allow your dog to rehearse the barking and lunging. This means maintaining distance from other dogs while on leash as you train. Change the dog’s emotional attitude towards other dogs while on leash – This is best accomplished by feeding your dog high value food (cheese, hot dogs, steak, chicken) each and every time he sees a dog while on leash. Focus on safety – a head halter, or in extreme cases, a basket muzzle, ensures that you, your dog, and other owners and dogs are safe while you do the work. Train an incompatible behavior – If you train the dog to look at your face and lock on when a dog approaches, it now has something to do other than bark and lunge. 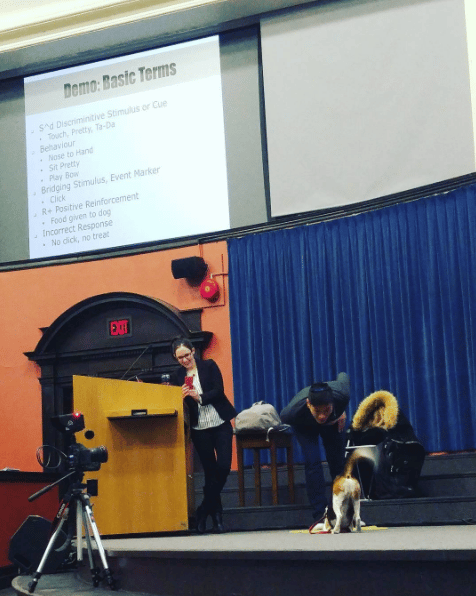 The first video has Dr. Sophia Yin (www.askdryin.com) using a combination of operant conditioning and classical conditioning to teach a leash-reactive dog to tolerate and then eventually like other dogs. You know this dog is happy because of his body language. The second video from a certain TV program shows the use of severe leash corrections as a punishment to suppress behavior. In this case, the aggressive dog looks at another dog – the person kicks the dog (2:56), triggering the dog to bite, and then proceeds to choke the dog till it nearly suffocates. The person is bitten and dogs subjected to this punishment will suffer neck, spinal, tracheal, and ocular damage. If the owners tried this they would likely require hundreds of stitches. Did you know that in the US, 4.7 million people are bitten by dogs each year? And, of those incidents, 77% of them are bites from the family pet (or a friend’s pet), and 50% of bites occur on the owner’s property? This means that you are more likely to be bitten by your own family dog than someone elses! The next important fact to know is that dog bites rarely happen “out of the blue, all of a sudden”. Most dogs exhibit a wide range of body language and signals to indicate they are uncomfortable with the situation. The problem is, humans either do not understand or choose to ignore those clear communication signals. The dog is forced to either tolerate, run away, or bite. Needless to say – dogs do not like head pets, people leading over them, staring them in the face, scrunching their hears, hugging them chest to chest, or kisses to the head. You never see two dogs greeting each other this way. You DO see primates greeting this way though – and guess what, we’re primates. The third thing you should do, especially if you are the owner of a new puppy, is ensure they are extremely well socialized by the time they turn 13 weeks of age! Ensure your new puppy has met over 100 different types of people, has been handled in a variety of ways (but always gently), and fed yummy treats. This early socialization helps increase the tolerance that your puppy will have for the types of greetings they don’t like. And here is a video of Gunner the Dalmation displaying every warning behaviour possible that precedes a bite. I have no idea what the mother of this toddler is thinking!! !